Do not wait — start your promotion now! All discounts in your area in your pocket! OnMapp will locate your position and show you all the discounts in the area broken down by categories (accommodation, shops, restaurants and cafes). 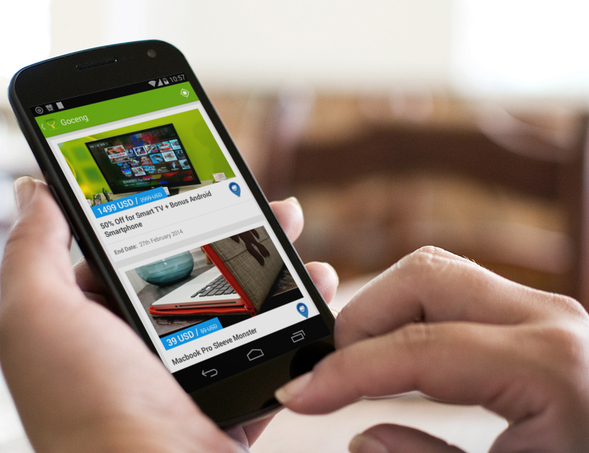 THE BEST WAY TO SAVE MONEY WITH YOUR SMARTPHONE! 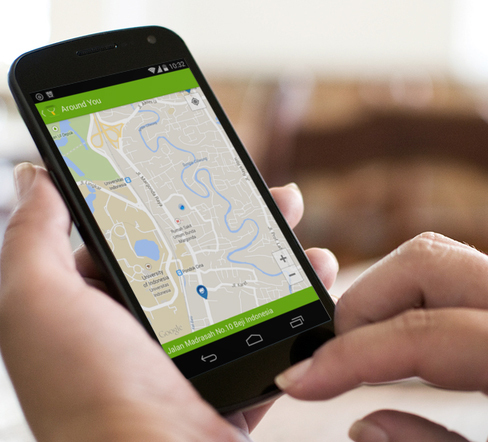 goes about finding deals and coupons in your geographic area. Choose the offer you like best and visit the store. When you walk up to the cashier, just show the OnMapp deal on your device. That's it—you just saved money! screen of the device at the cash register or staff. to find all offers near you. 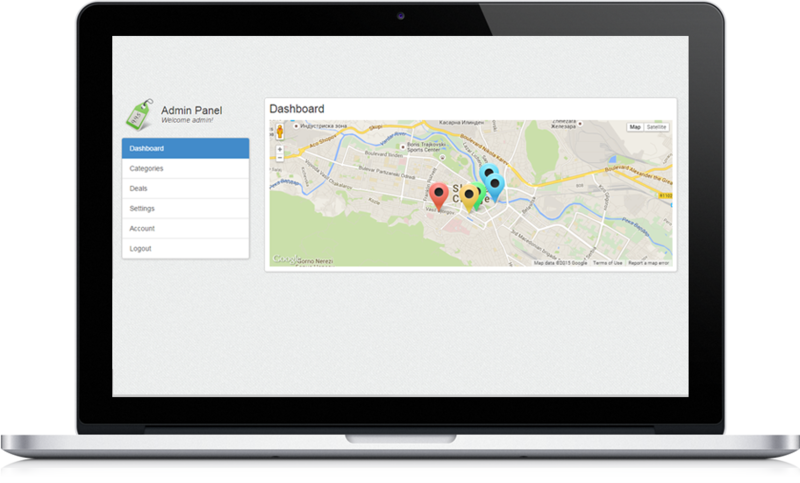 OnMApp will provide customers who are nearby and ready to visit your local business. Place your BEST offer in the system. It's simple and easy. The system will process your offer within 12 hours. After approval, your offer is "live" in the application. Relax yourself. All you have to do is to welcome your new customers. 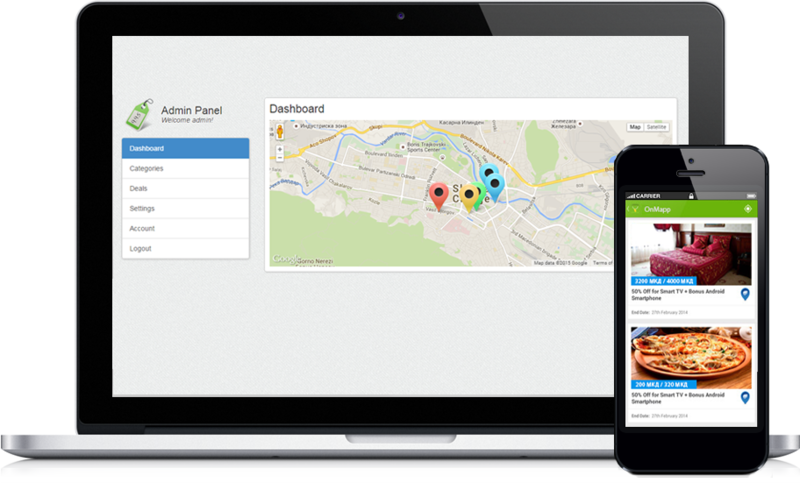 We developed OnMapp to enable businesses of all sizes to easily and simply promote through the latest and highly effective form of advertising. OnMapp 2017. All rights reserved.